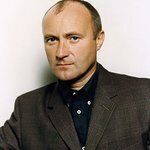 British music legend Phil Collins has slammed UK department store Selfridges for selling a controversial French delicacy. 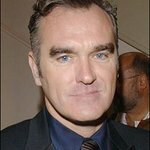 The singer has sent a letter on behalf of PETA to the chain’s chairman pleading for them to pull their stocks of foie gras – a pâté made from the livers of ducks and geese – from their shelves. “You probably know that every animal protection group in the world condemns foie gras as cruelty to the birds, with 15 countries actually banning its production,” writes the 57-year-old. "As you can imagine, the scientific consensus has to be very strong for a country to ban the production of something, but indeed, foie gras production is really that cruel. A description of foie gras production is not for the faint of heart. To force-feed the birds, pipes are rammed down their throats a few times per day. Many times, the pipes puncture the birds’ throats, and the animals bleed to death. This cruel procedure causes the birds’ livers to become diseased and swell up to 10 times their normal size. Birds that don’t die became sick and lethargic, and indeed, death rates skyrocket during the force-feeding time. Collins joins former James Bond star Sir Roger Moore in protesting against Selfridges’ decision to stock the food when many other British stores have banned it.